Click Here To See 'The Magazine Antiques' January 2010 Magazine! 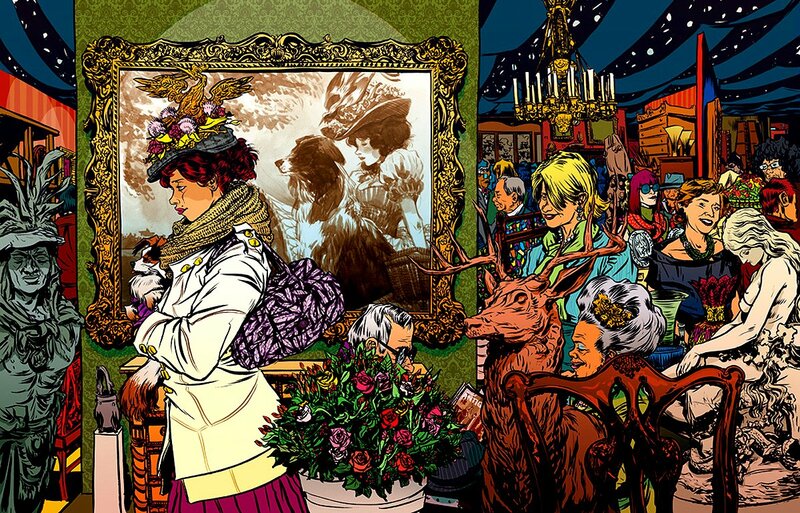 For a change from the ordinary Marvel, DC, Image, Dark Horse artist and illustrator Nathan Fox, whose work has also appeared in the New York Times Magazine and New York Magazine, was asked to create a special gate fold cover for the January 2010 issue of "The Magazine Antiques" that interprets the venerable Winter Antiques Show. 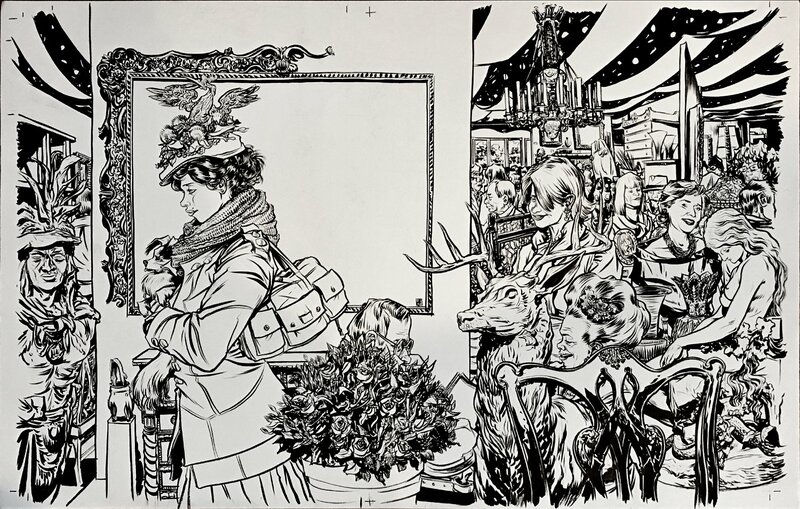 Fox’s extraordinary illustration captures many familiar faces and sights from the show—from a Tiffany lampshade to a cigar store Indian, among st all of the detailed people drawn Art is quite large, drawn on one large 27 by 17.25 inch Bristol art board. Compare this nice cover art to the published colored magazine in the red link above! ALL art on our website (including this one) are able to be purchased with VERY fair time payments, and trades are always considered towards "ANY" art on our website! Just send us an email to mikeburkey@aol.com and we can try to work something out.